We’re not right in downtown Bangkok. When you get outside of town a little bit, you have some really nice areas where you can dine al fresco, by a lake, and soak it all in. Rabeangbua Restaurant สวนอาหารระเบียงบัว is such a place. The atmosphere is great, but what about the food? 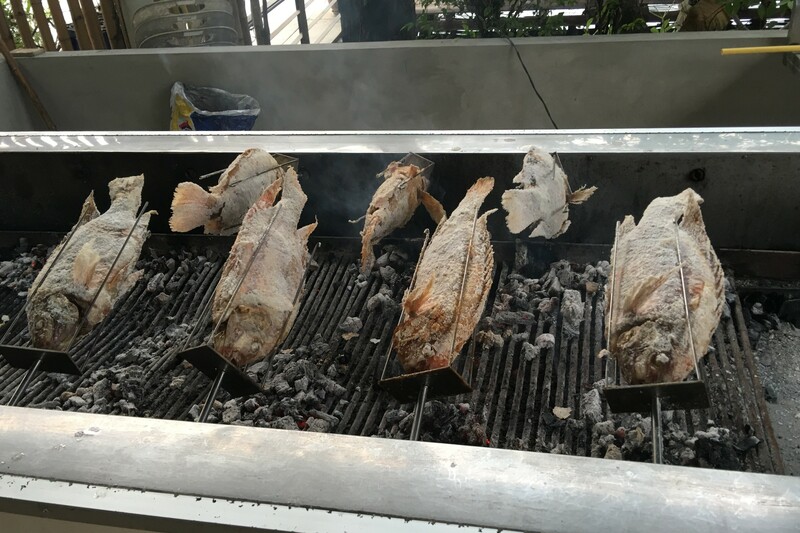 When you walk in, you see the Tilapia, which they say they farm from the little pond they have on the premises, grilling on charcoal. 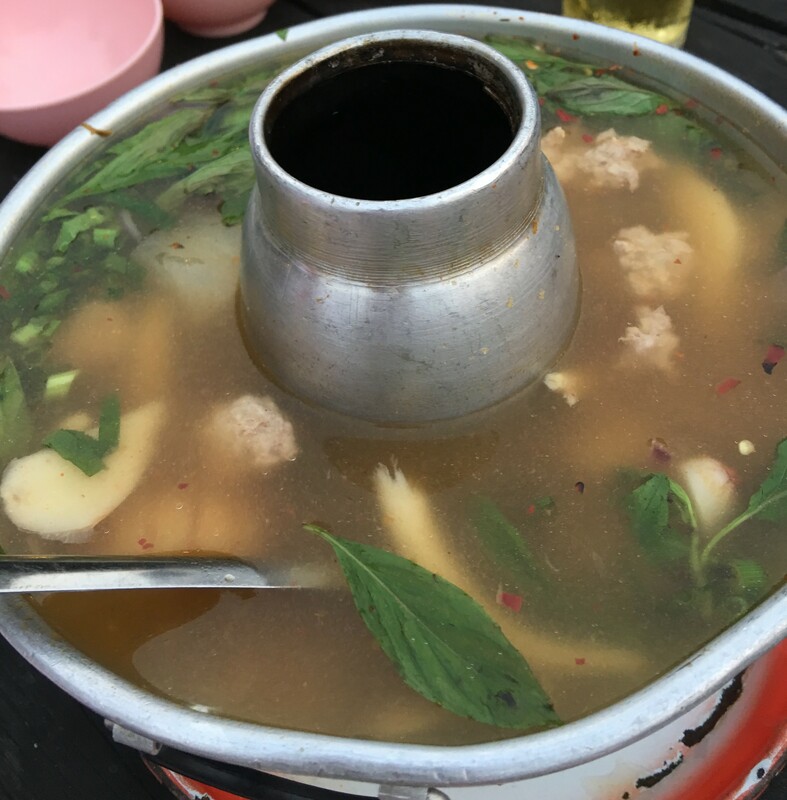 The smell is great, but you start with Tom Yum. You have to. Nice and hot and spicy, but soothing at the same time. Love it. 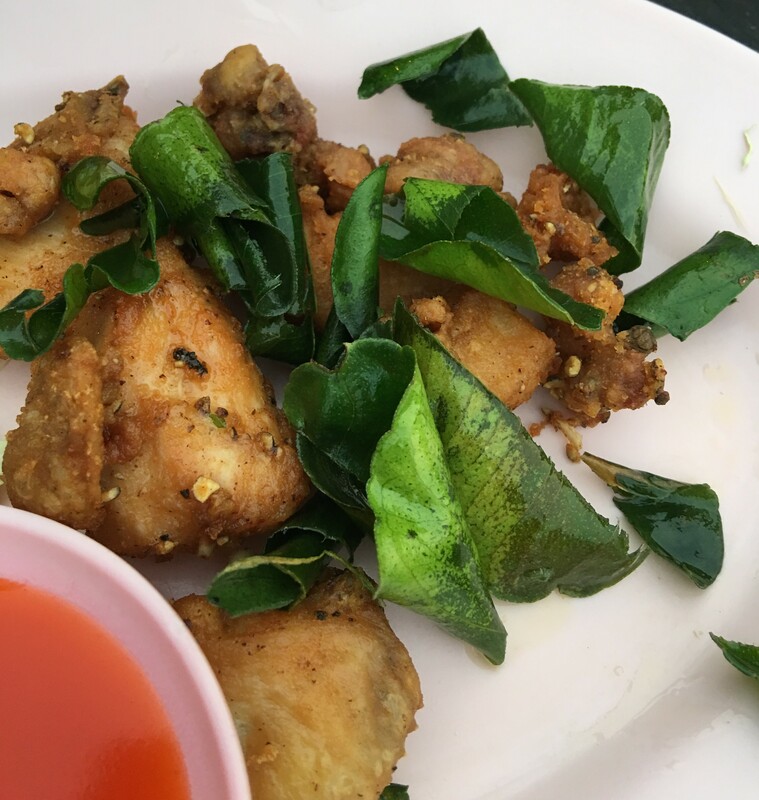 Chicken, fried with Thai Basil. 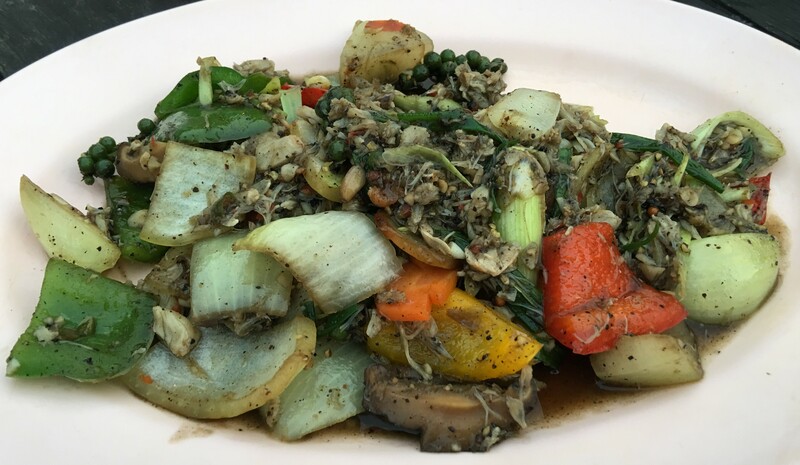 Some stir fried Crab Meat. This one was not so successful for me. 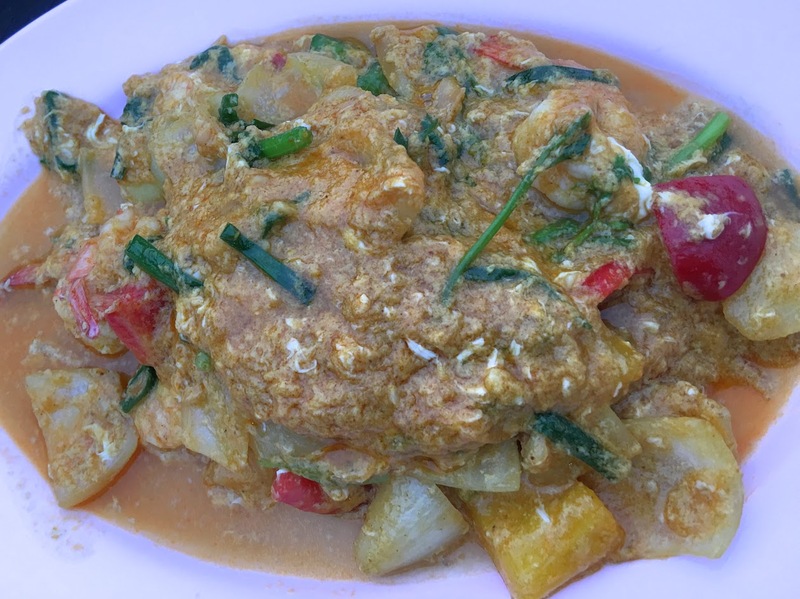 Prawn in a Yellow Curry sauce. Yes! 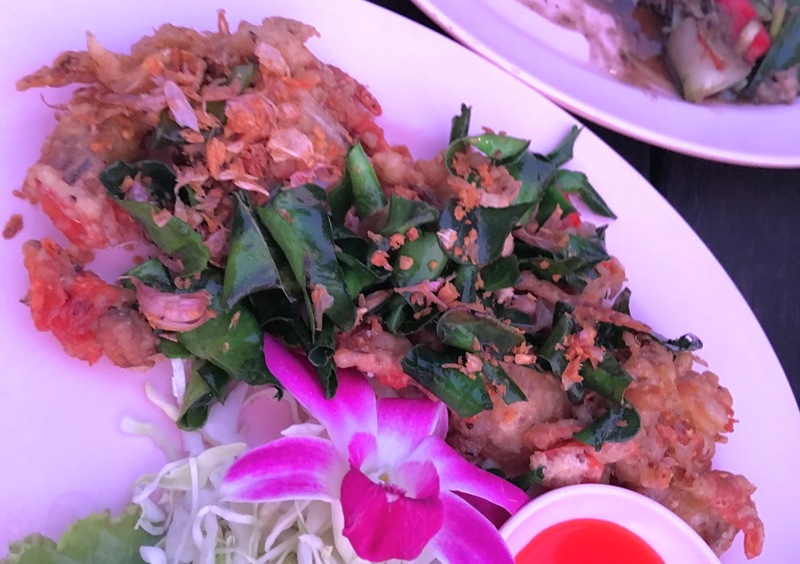 Fried Soft Shell Crab. A winner! 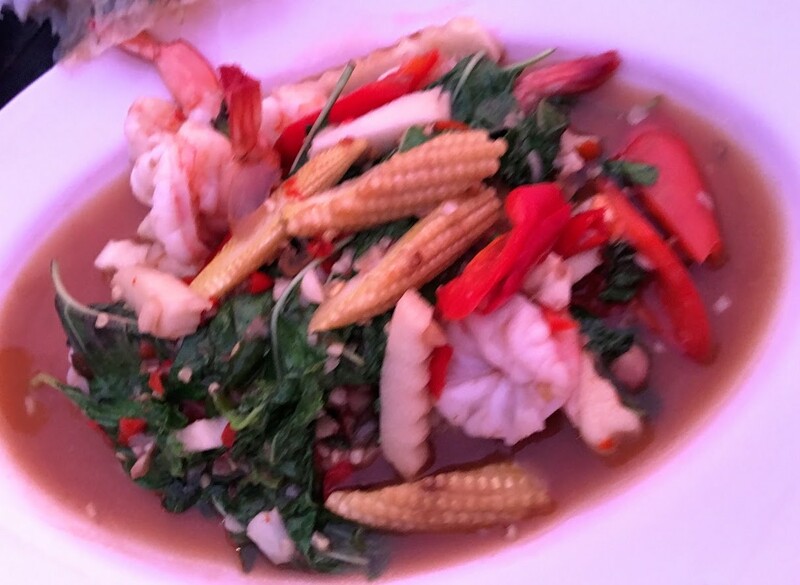 Prawn with Mint Leaves. Only so-so to me, thus the blurry picture. And of course, one of those Tilapia! So tender, the only thing is you can’t eat the skin, though the crispiness of it looks great. It’s the salt and the outside skin that is not too good for you. I couldn’t tell you how to get here as my friend drove. I can tell you how to eat it though. Savor it! 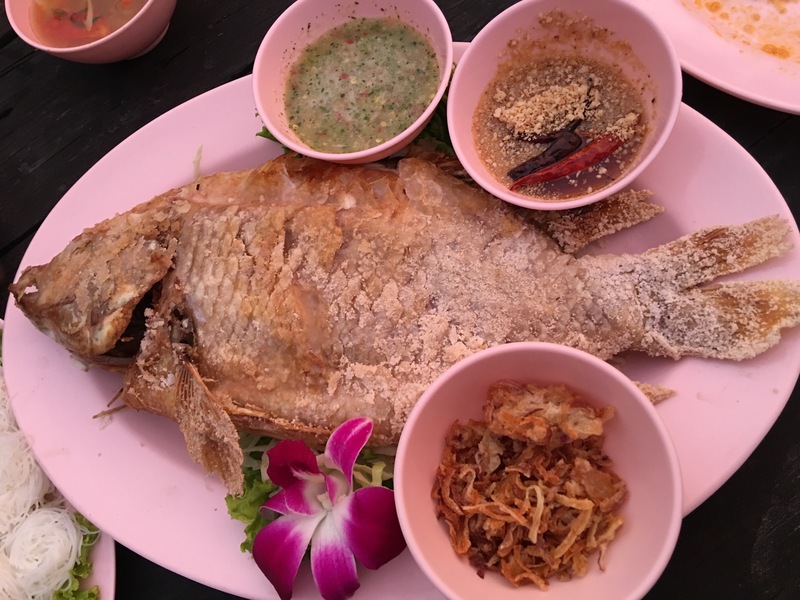 Posted in Bangkok, Seafood, ThaiTagged Bangkok, Fish, Seafood, Thai, ThailandBookmark the permalink.